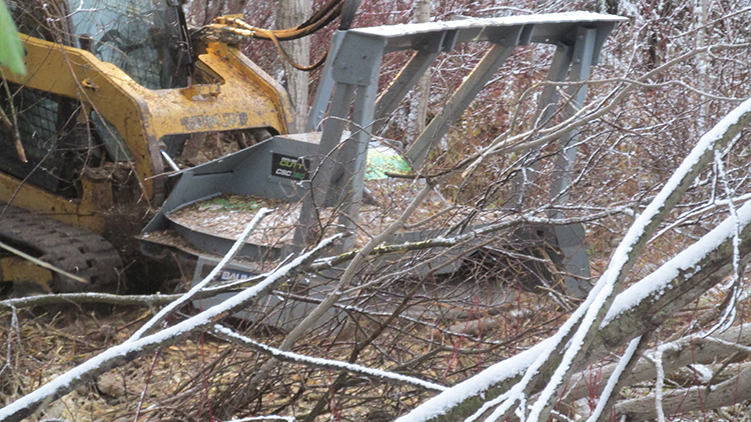 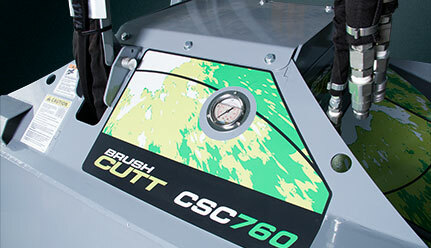 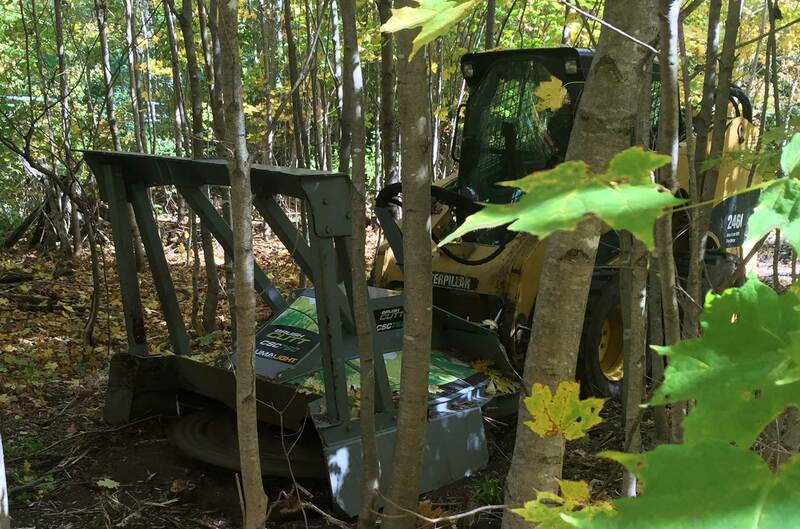 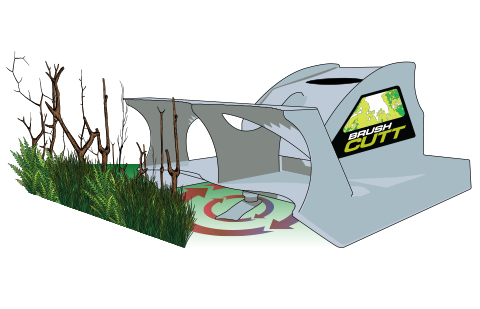 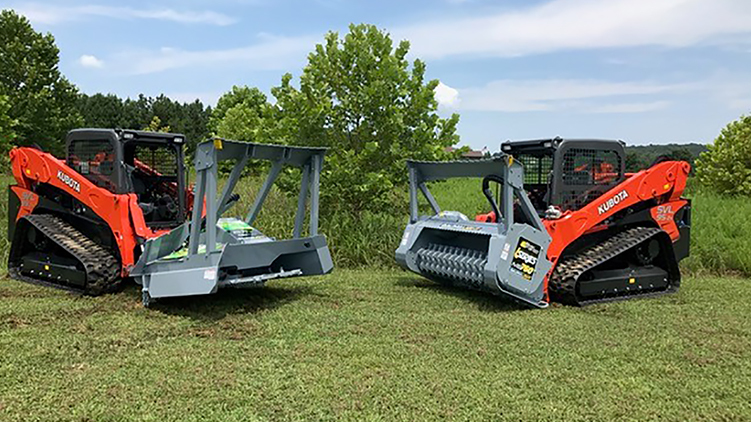 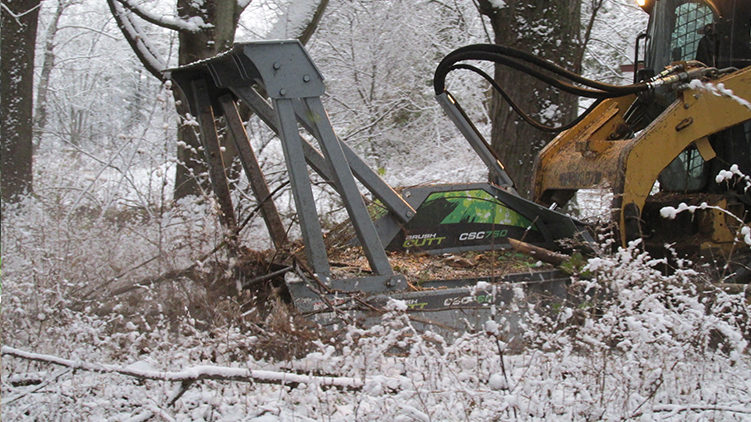 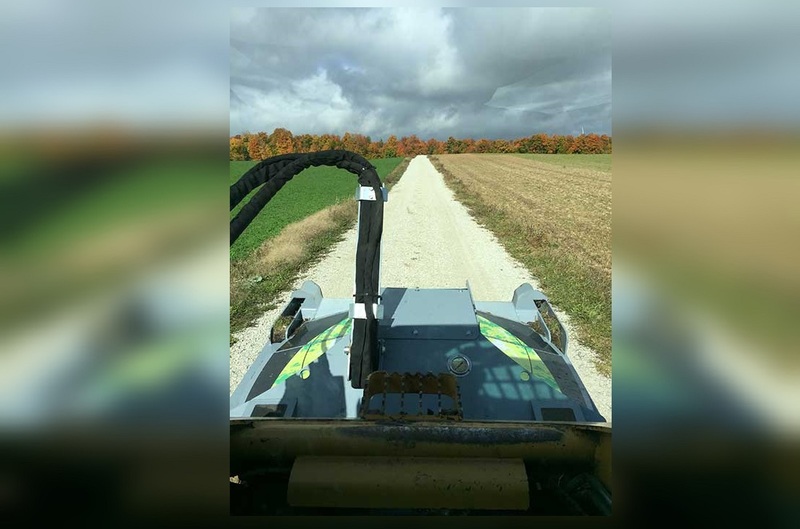 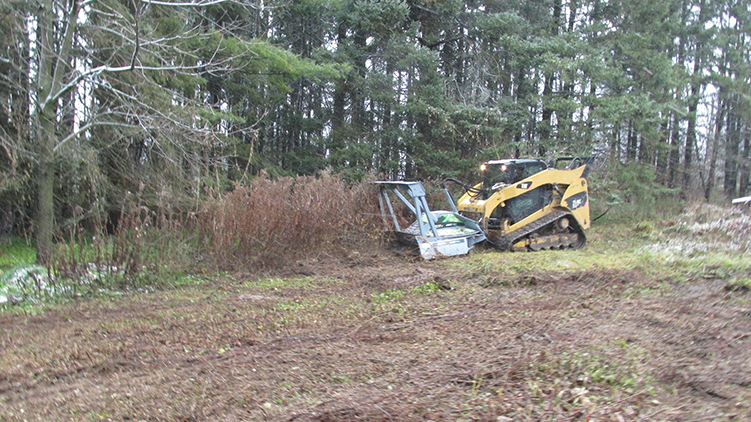 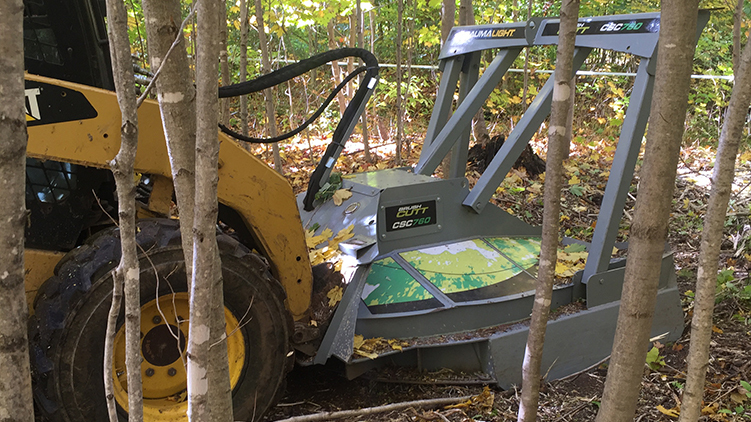 The CSC760 Baumalight Brush Cutt is a heavy-duty skid steer mount rotary brush mulcher designed to efficiently destroy dense vegetation with large Skidsteers. 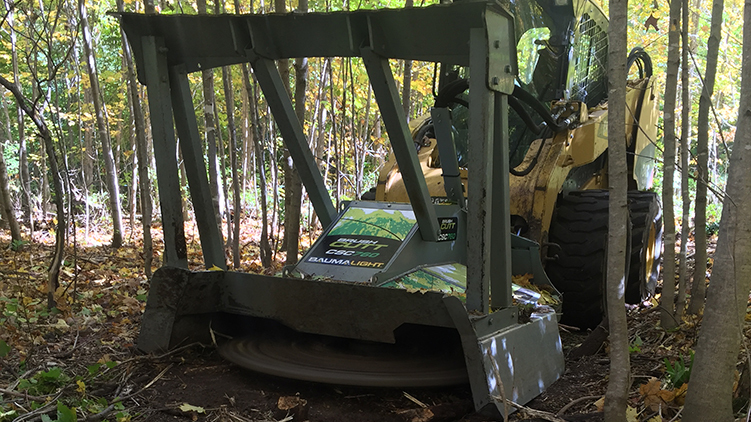 Featuring a 1" thick steel rotor, the disk mulcher delivers the extra momentum to power through small trees and heavy brush. 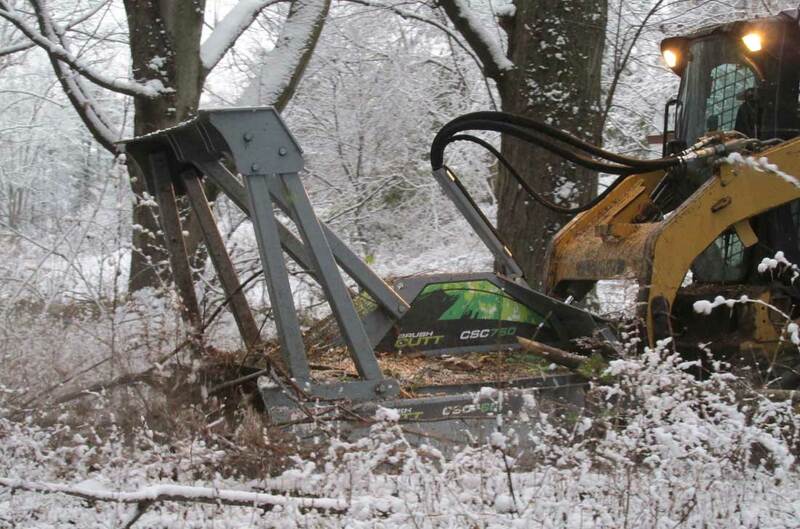 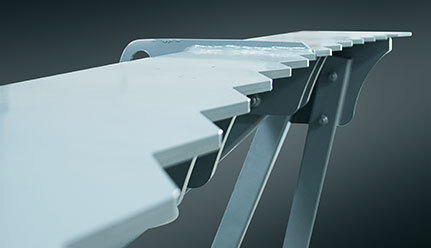 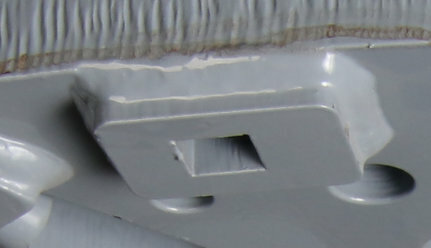 The extra bracing of a heavy-duty push bar is meant for aggressively tackling larger trees as well. 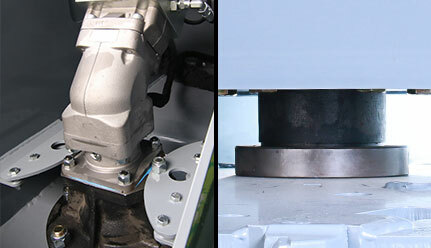 It is equipped with an industry leading bent axis piston motor and bolted to a heavy duty bearing assembly. 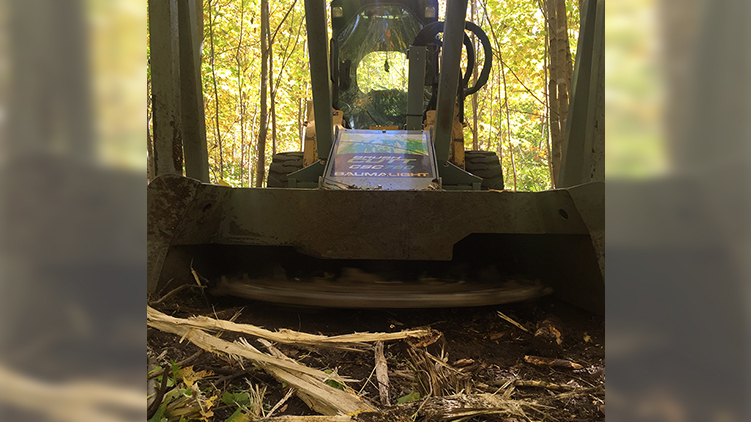 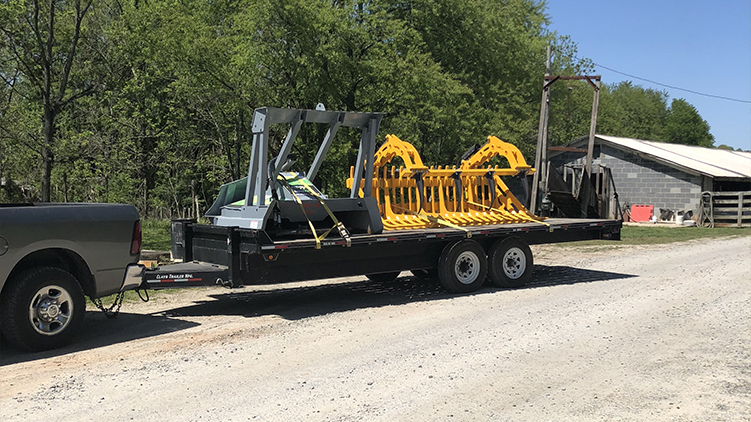 700 series rotary disk models with carbit tipped fixed teeth that are meant for industrial land clearing and the biggest benefit of a disk mulcher is less moving parts then conventional drum type forestry heads. 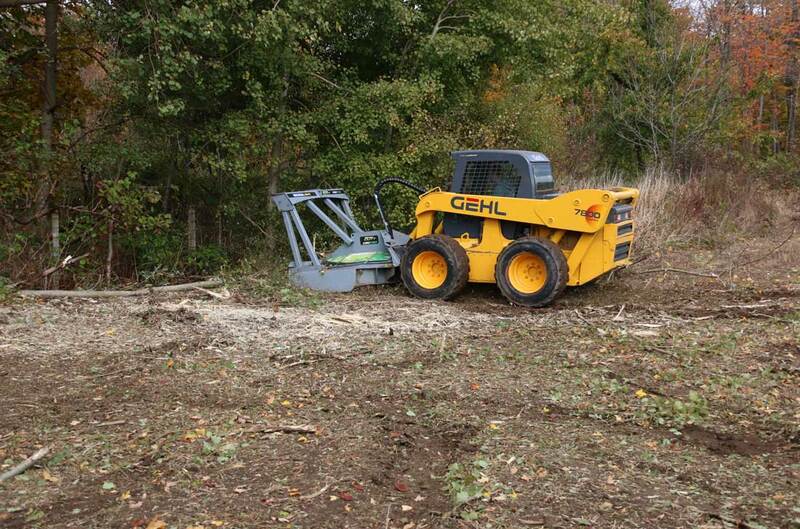 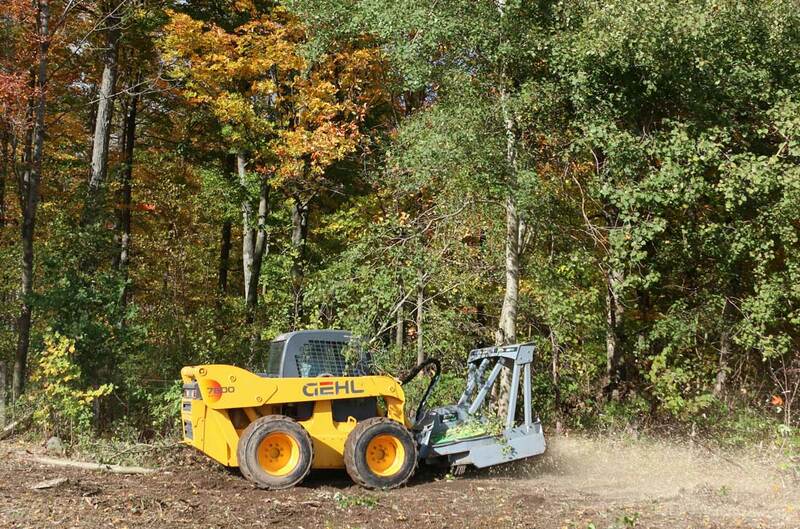 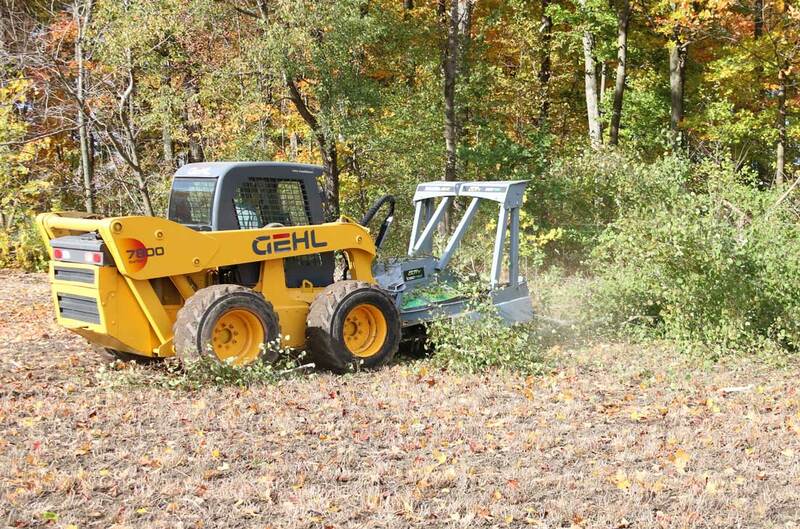 It is an ideal Brush Mulcher for rental. 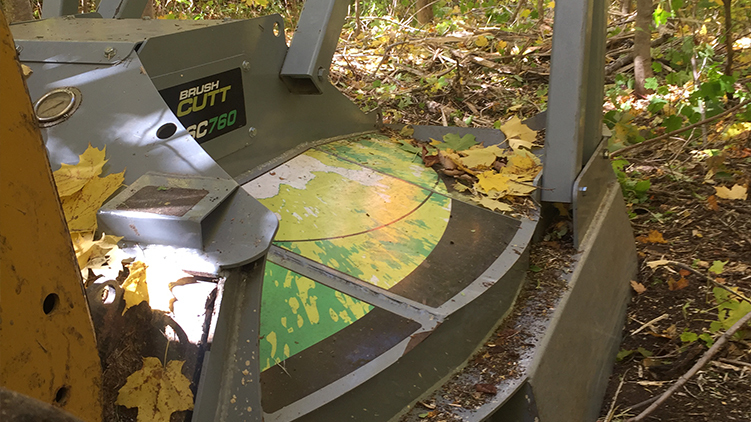 The massive 1 inch thick steel rotor is impressively rugged and will remain solid with no flexing to provide the CSC760 the extra momentum it needs to power through the thickest brush. 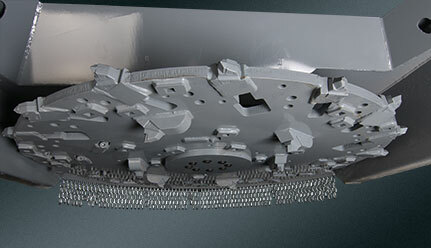 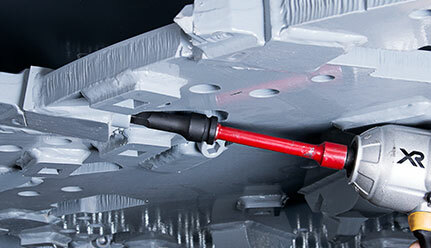 The optional 500 Series planner style teeth provide the most efficient cutting by smoothly chipping away at the brush. 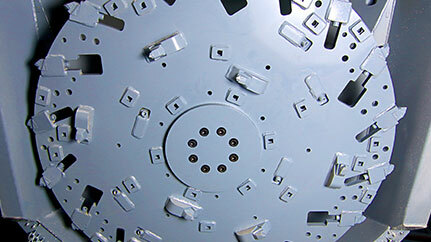 Part number is S1000 and there is room for 66 pcs. 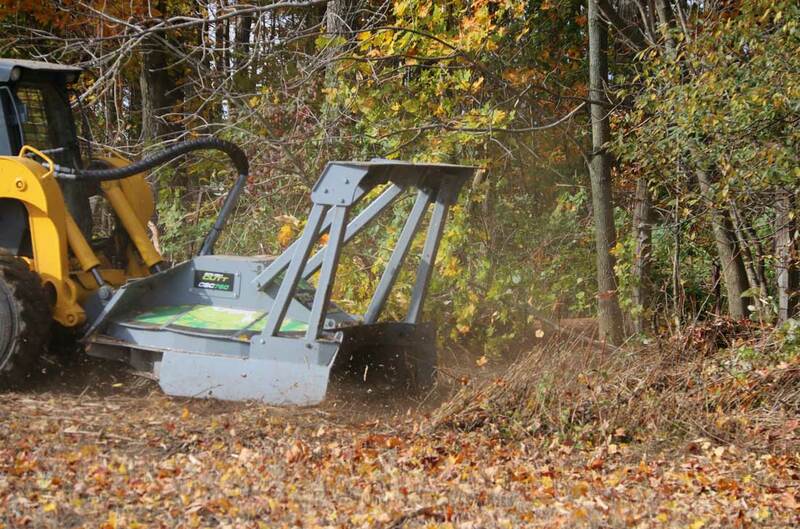 If a finer mulch is desired, the 500 Series is a great choice. 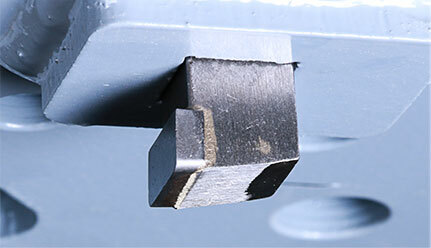 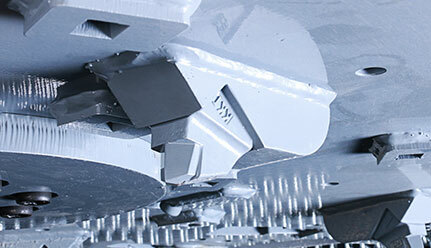 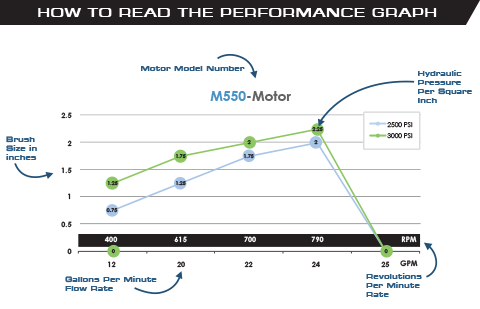 AR400 steel is strong enough to withstand contact with stones with or without the optional 500 series teeth installed. 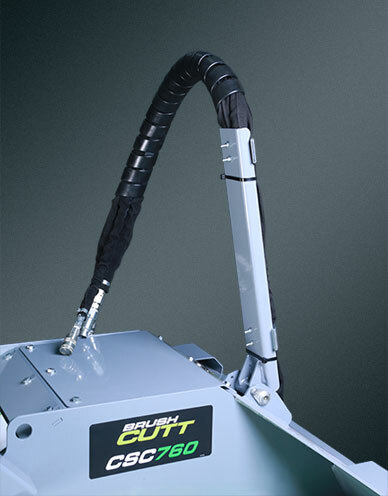 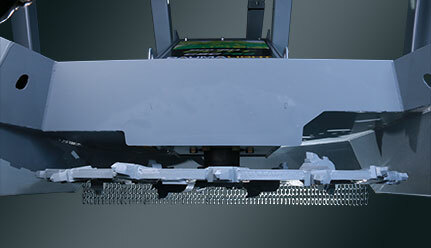 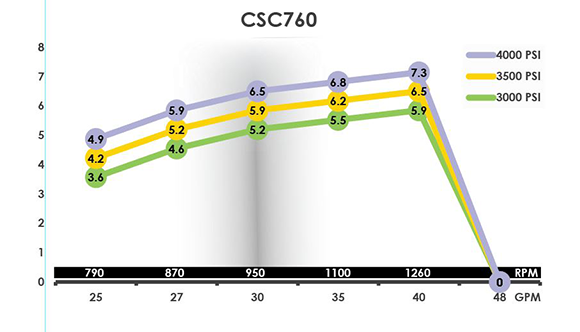 Most teeth on the CSC 760 can be tightened with an air impact drill. 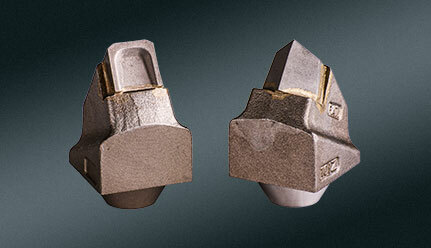 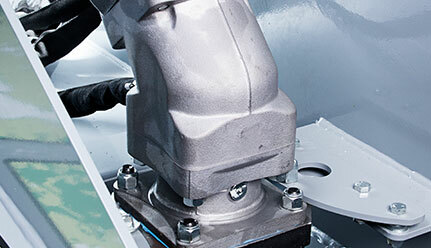 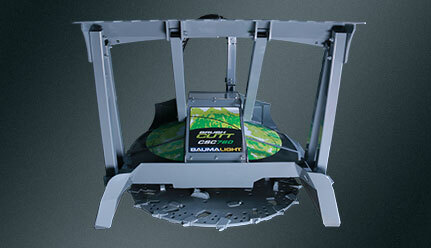 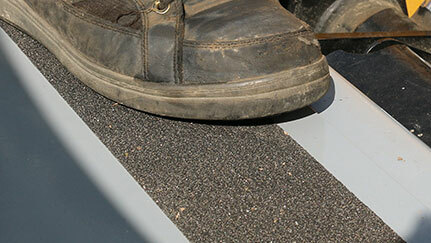 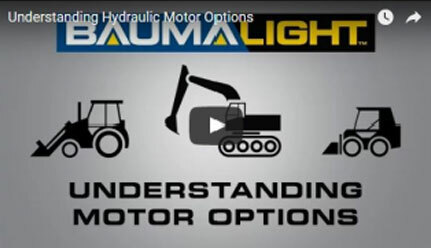 The bolt-on design allows for the simply servicing right in the field.